LONG BEACH, New York - All eyes are now focused on the USA's most iconic City, New York, as the APP World Tour prepares to descend on its shores for the second stop of the racing season to kick off in Manhattan and season opener for the surf season in Long Beach. The New York SUP Open is here and will be broadcast LIVE from the 15th - 23rd September. 5x World Champion, Kai Lenny, from the Island of Maui will be returning to defend his title amidst what is without a doubt one of the most competitive fields to have ever assembled for SUP surfing. No stranger to fierce competition, Kai will be looking to add another event win to his impressive track record with the goal of posting his first notch towards another World Title in 2018. The Women's field taking part in the New York SUP Open will be the most competitive yet, as the World's best will battle it out. Women's SUP surfing has been going from strength to strength over the past few years, with last year's Sunset Beach Pro providing a new benchmark of performance in the World of Competitive SUP Surfing. At the head of this charge is now 4x World Champion Izzi Gomez, who unbelievably is still in her teens, but is now a mature, and ever progressing competitor who will be looking to defend her unbeaten streak in New York. From the videos circling on social media, she has not skipped a beat and will be ready to take on the best of the best at the 2018 New York SUP Open. The list of Contenders stepping up to do battle at the New York SUP Open is staggering, with a record number of nations taking part, and the talent level soaring to record new highs. Last year we saw the likes of Naish athlete Bernd Roediger and Giorgio Gomez coming into their own, with impressive finishes in the powerful waves of the North Shore of Oahu at Sunset Beach. Also continuing to turn heads and always right in the mix are the likes of Boardworks athlete Mo Freitas and Poenaiki Raioha, who will be looking to take a more dominant position in 2018. One athlete who had a slower year in 2017, but has proven himself time and time again on the global stage as one of the most progressive surf sport athletes in the world, but also an event winner, is Starboard athlete Zane Schweitzer, from the Island of Maui. He has been training hard, focused and is ready to take on the best of the best in Long Beach. You can also never count out the likes of Starboard athlete Sean Poynter from the USA, Kai Bates from Australia and Benoit Carpentier from France, but also young stars such as Sebastian Gomez from Peru. In the Women, it is a similar story, as the list of real contenders continues to grow and talent soars to entirely new levels. The list of contenders stepping up to challenge Izzi Gomez's dominance over the past few years is growing fast, as the likes of Starboard athlete Fiona Wylde and 2013 World Champion Nicole Pacelli will be looking to do whatever it takes to take the top spot at the New York SUP Open and start their quest for a World Title in 2018. Shakira Westdorp from Australia has shown herself to be a major threat time and time again, and will doubtless have her eyes on the prize in New York, as she looks to put her powerful and progressive style to good use in the punchy beach break conditions in Long Beach. Also to watch out for is the up and coming young star, Naish athlete Annie Reickert, who never ceases to impress and has one of the most well rounded games in the sport. Meanwhile, one of the most underrated SUP Surfers in the world, Iballa Moreno will be looking to finally realize her potential in New York. Long regarded as one of the very best in the world, she has still to realize the kind of results she deserves, and with the Tour returning to her home for the Las Palmas de Gran Canaria Pro in December, 2018 might well be her year. In the Surfing World, the 'Brazilian Storm' phenomenon has been real, with incredible talent rising through the ranks to establish Brazil as one of surfing's super powers of the modern age. 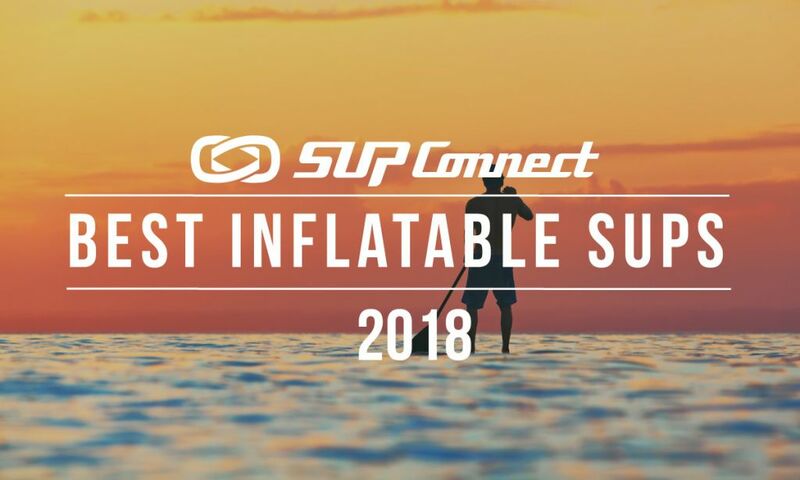 Well the same can now be said for standup paddling, as we see an unprecedented field of Brazilian athletes stepping up to do battle in the New York SUP Open in 2018. Despite their leading light, 2x World Champion Caio Vaz being injured, the Brazilian contingent is set to do real damage on the World stage in New York: from their now 'elder' 2012 World Champion Leco Salazar who will be leading the crew, to established World Tour talents such as Marcio Grillo and Lucas Medeiros, and much talked about young guns such as Luis Diniz, Brazil is ready to take on the world.